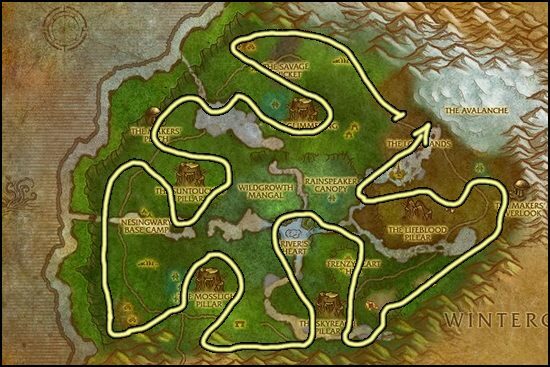 This Saronite Ore farming guide will show you the best places for mining Saronite Ore. This ore is mined from Saronite Deposits or Rich Saronite Deposits. I must also mention that Titanium Veins are rare mining nodes that primarily spawn in areas where you will find Saronite Deposits. 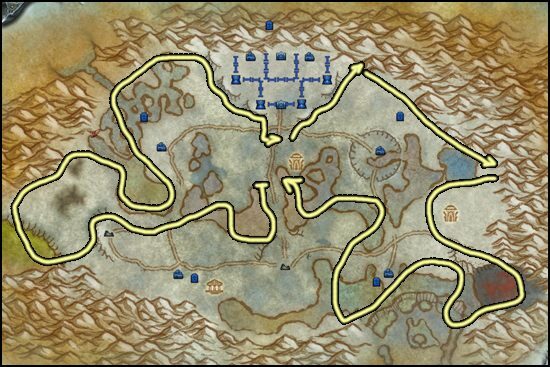 Pretty good place to farm, and easy to follow route. Shoalzar Basin is also an excellent zone. 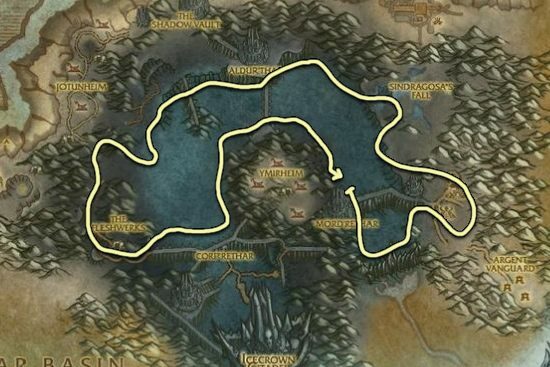 You can just try to check if the battle for Wintergasp is on or not because these two zones are really close to each other. If it's not on, you should farm at Wintergrasp for 1 hour. You can't use flying mount when the battle for Wintergasp is in progress. Unfortunately, this battles happens every 1 hour. But in that 1 hour time period, Wintergrasp is the best zone for farming Saronite. Warning! Currently it seems that sometimes there is a bug and you can't see any mining nodes, or even npcs in the zone. Logging out and then logging back in fixed this bug for me, but you might even have to close the game. Once you are done mining Saronite, go to my Obsidium Ore Farming page!